Besides being a prolific children's writer and an affable guy, Lee Fodi is generous toward fellow writers. This interview about the choice of self-publish or trade publisher allows us to understand his decision-making. WH: I count 9 books on your Web site. Is that your current total, and if not, what other books do you have? Lee Fodi: Yes, to date, I’ve published nine books, both as a writer and illustrator, or as an illustrator of other author’s books. Two of these books have been published through the Victoria-based self-publisher, Trafford. The other books have been published through traditional publishers. WH: You have both self-published and published through various trade publishers. What do you see as the advantages and disadvantages of each? Lee Fodi:I published my first book, Corranda’s Crown, through a traditional publisher. Even though publishing this book allowed me to embark on a successful career as an author, I was ultimately dissatisfied with the business model of the publisher of this book. I became quite committed to learning more about the business side of the publishing industry and attended many book expositions (such as Book Expo America) across North America. After meeting and speaking with many different authors, I realized that many writers had the same complaints as me. Many authors seem to feel that their publishers do very little to support their authors. 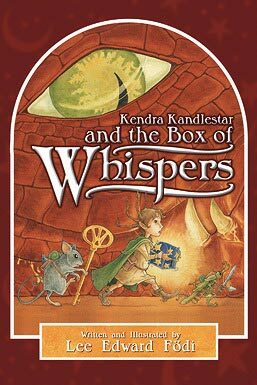 For my next book, Kendra Kandlestar and the Box of Whispers, I decided to take a slightly different publishing route by going with Brown Books. Some might call Brown Books a self-publisher, but in truth they are like a traditional publisher in almost every way. They don’t publish print-on-demand books, they assign every book an editor, they have major distribution, and—unlike self publishers—they reject most of the manuscripts they receive. The difference with Brown Books is that once they accept your manuscript, you finance the project, which means the author funds the production, printing, and marketing of the book. Instead of receiving a percentage of profits (royalties) a Brown Books author receives a 100% of the profits. This approach is not for every author, but it’s really something that works for me because not only can I illustrate my own work, but I have a background in graphic design, which allows me to play a key role in the book design and production. Of course, this approach, also demands that an author take the lead in marketing—but I think this is becoming more and more the case, even with the larger publishers. Personally, I think gone are the days when authors can be passive in the publicity of their titles. My relationship with Brown Books has allowed me illustrate books for their other authors; also, I will be releasing the next installment of the Kendra Kandlestar Chronicles, Kendra Kandlestar and the Door to Unger, this October, through Brown Books. WH: Why do you use different publishers? Lee Fodi: As an illustrator, I work with publishers that offer me contracts. If a project goes well, I certainly like to continue those relationships. I suppose I have the same opinion when it comes to being an author. In any case, I think it can be to an author or illustrator’s advantage to have relationships with more than one publisher, as it’s never a good idea to put all your eggs in one basket . . .
WH: One book is distributed only through a chain of chocolate outlets. Why is that? WH:Lee Fodi: This book, The Chocolateir’s Apprentice, represents a unique project. The purpose of the book is to help commemorate the one hundred anniversary of Purdy’s Chocolates and all proceeds go directly to Raise-A-Reader, a national program that supports literacy initiatives. The book was produced by Echo Memoirs, a small Vancouver-based specialty publisher. Since the book is not intended to generate profit, it is not sold through the regular distribution channels. I’m pleased to say that The Chocolateir’s Apprentice has attained best-seller status in Canada, doing so in just two or three months. Such is the power of a great marketing campaign by Purdy’s and the Raise-a-Reader foundation. Incidentally, I live only a few blocks away from the original site of the Purdy’s factory in Vancouver, BC. Read Lee Fodi's take on how to markets your book. 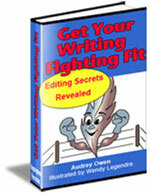 From self-publish or trade publish to Articles On Writing.